Madison, Wisconsin - Groundswell has achieved land trust accreditation from the Land Trust Accreditation Commission, an independent program of the Land Trust Alliance. Groundswell's accredited status demonstrates our commitment to permanent land conservation that benefits the entire community," says Jed White, board president. "Our land trust is a stronger organization today having gone through the rigorous accreditation program." Groundswell was founded in 1983 and permanently protects natural areas, rivers and streams, wildlife habitat, and working farms in and around Dane County. 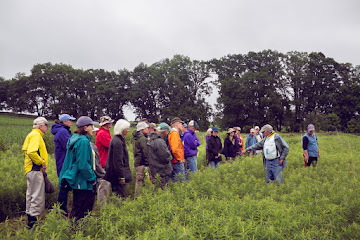 Groundswell was awarded accreditation this August and is one of 317 land trusts from across the country (including 10 in Wisconsin) that has been awarded accreditation since the fall of 2008. Accredited land trust are authorized to display a seal indicating to the public that they meet national standards for excellence, uphold the public trust and ensure that conservation efforts are permanent. The seal is a mark of distinction in land conservation. "This round of accreditation decisions represents another significant milestone for the accreditation program; the 317 accredited land trusts account for more than three quarters of the 20,645,165 acres currently owned in fee or protected by a conservation easement held by a land trust," said Commission Executive Director Tammara Van Ryn. "Accreditation provides the public with an assurance that, at the time of accreditation, land trusts meet high standards for quality, and that the results of their conservation work are permanent." 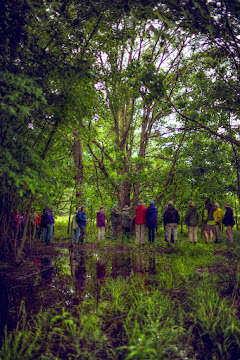 Each accredited land trust submitted extensive documentation and underwent a rigorous review. "Through accreditation land trust conduct important planning and make their operations more efficient and strategic," said Van Ryn. "Accredited organizations have engaged and trained citizen conservation leaders and improved systems for ensuring that their conservation work is permanent." Conserving land helps ensure clean air and drinking water; safe, healthy food; scenic landscapes and views; recreational places; and habitat for the diversity of life on earth. In addition to health and food benefits, conserving land increases property values near greenbelts, saves tax dollars by encouraging more efficient development, and reduces the need for expensive water filtration facilities. Community leaders in land trusts throughout the country have worked with willing landowners to save over 47 million acres of farms, forests, parks and places people care about, including land transferred to public agencies and protected via other means. Strong, well-managed land trusts provide local communities with effective champions and caretakers of their critical land resources, and safeguard the land through the generations. 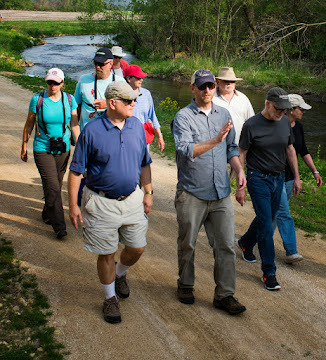 Groundswell is a local, non-profit, community-based organization that protects natural areas, wildlife habitat, working farms, lakes and streams, and recreation land in or near Dane County. Since 1983, Groundswell has permanently protected more than 9,700 acres of land and water. For more information about Groundswell or to make a tax-deductible contribution to support their work, please contact Jim Welsh, Executive Director, Groundswell, at jim@nhlt.org or (608) 258-9797 or visit www.nhlt.org. 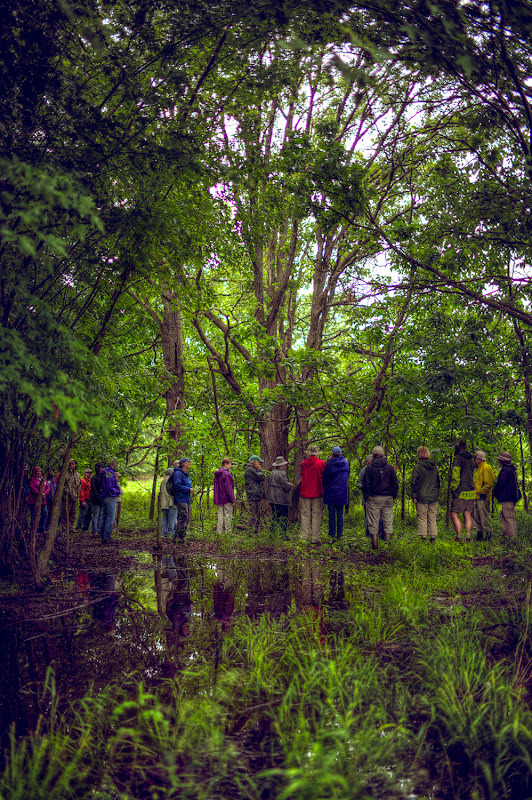 The Land Trust Accreditation Commission, based in Saratoga Springs, N.Y., awards the accreditation seal to community institutions that meet national quality standards for protecting important natural places and working lands forever. The Commission is governed by a volunteer board of diverse land conservation and nonprofit management experts from around the country. See a complete list of all recently accredited land trusts online at http://www.landtrustaccreditation.org/land-trust-locator. More information on the accreditation program is available on the Commission's website, www.landtrustaccreditation.org. Founded in 1982, the Land Trust Alliance is a national land conservation organization that works to save the places people need and love by strengthening land conservation across America. The Alliance represents 1,200 member land trusts supported by more than 5 million members nationwide. the Alliance is based in Washington, D.C., and operates several regional offices. More information about the Alliance is available at www.landtrustalliance.org.